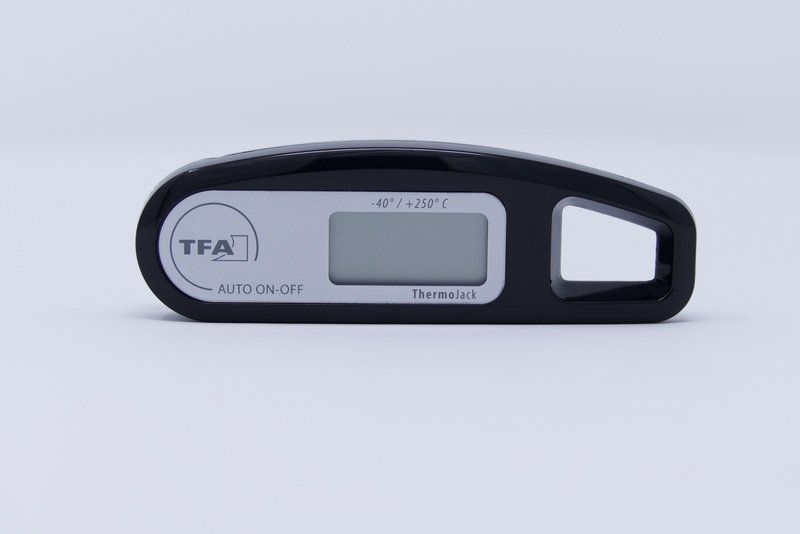 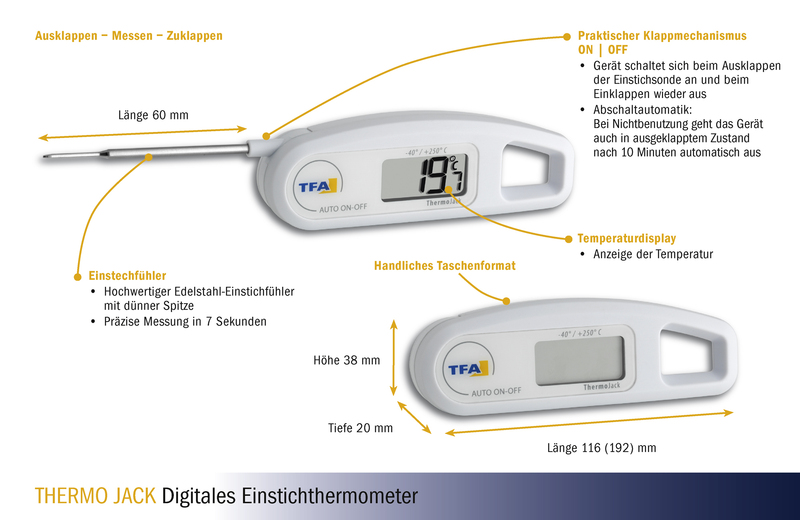 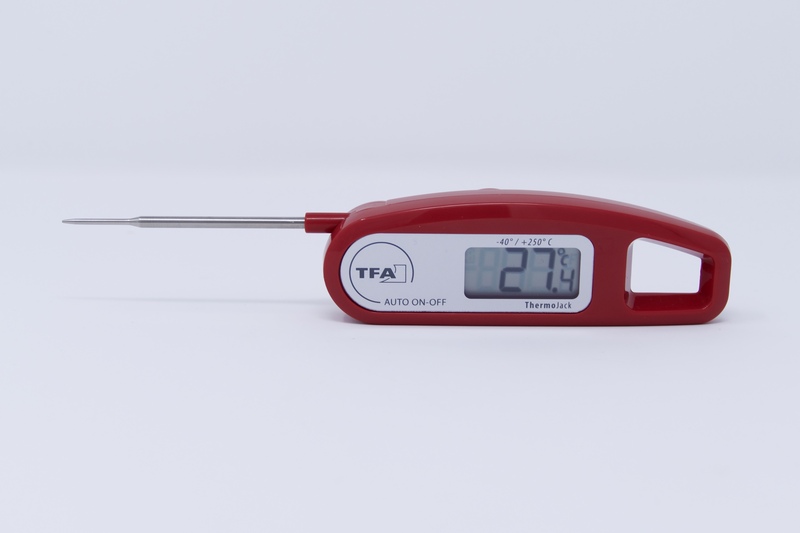 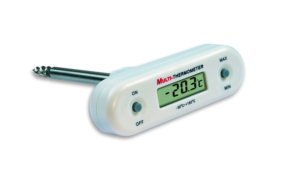 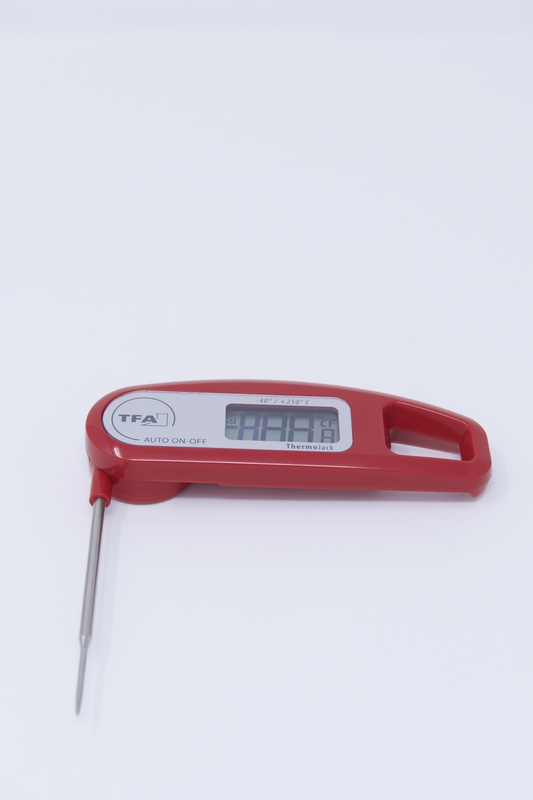 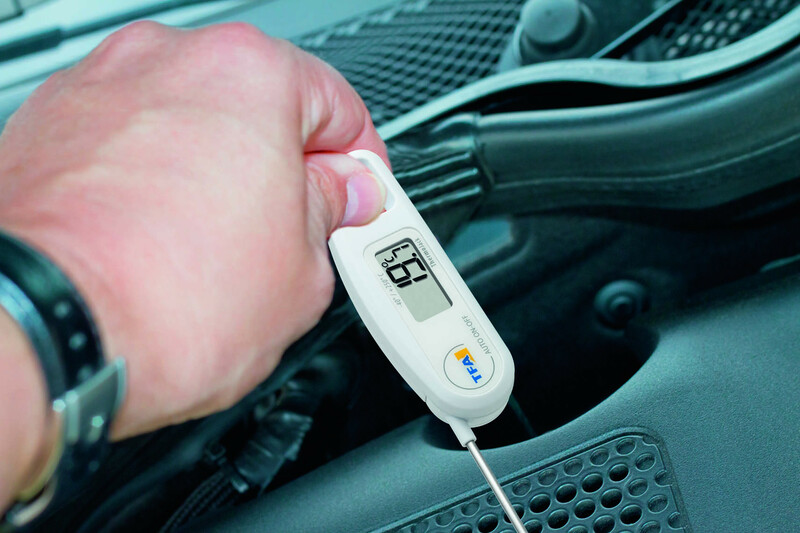 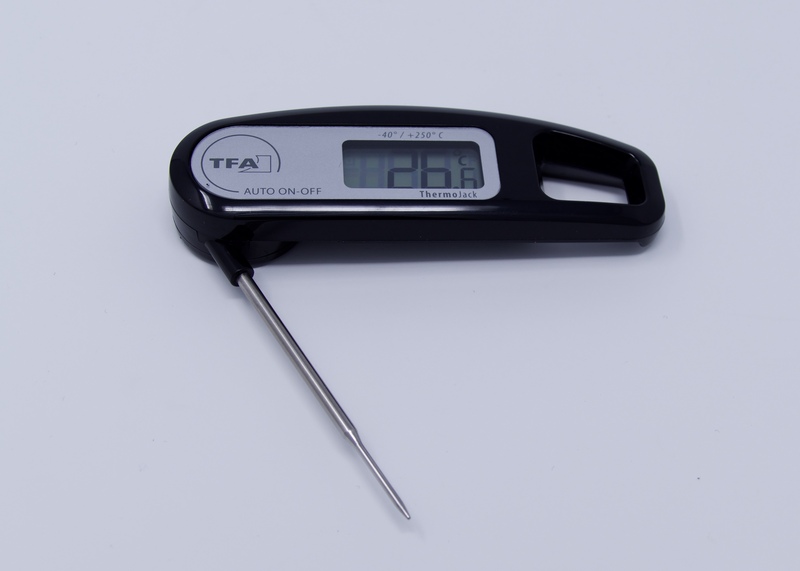 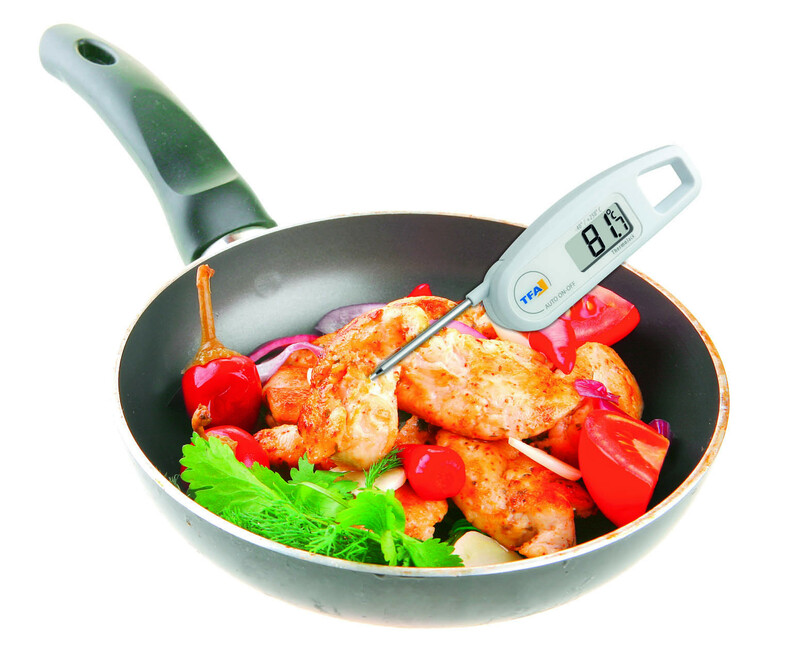 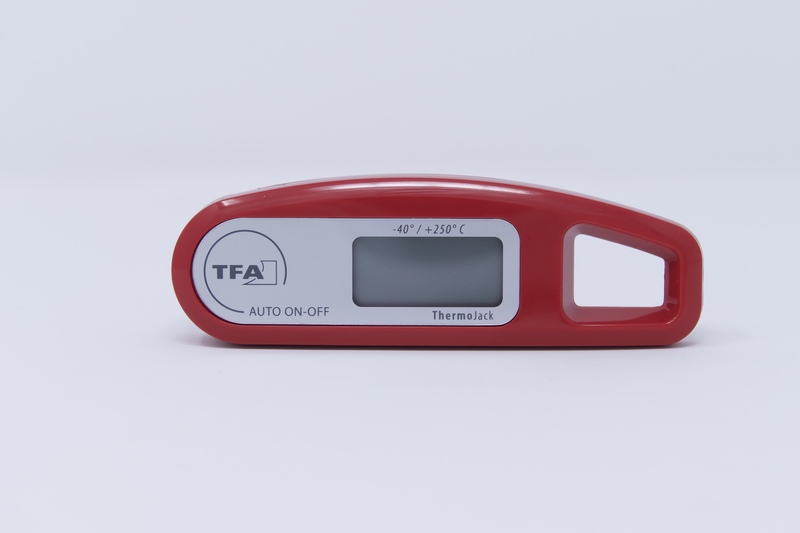 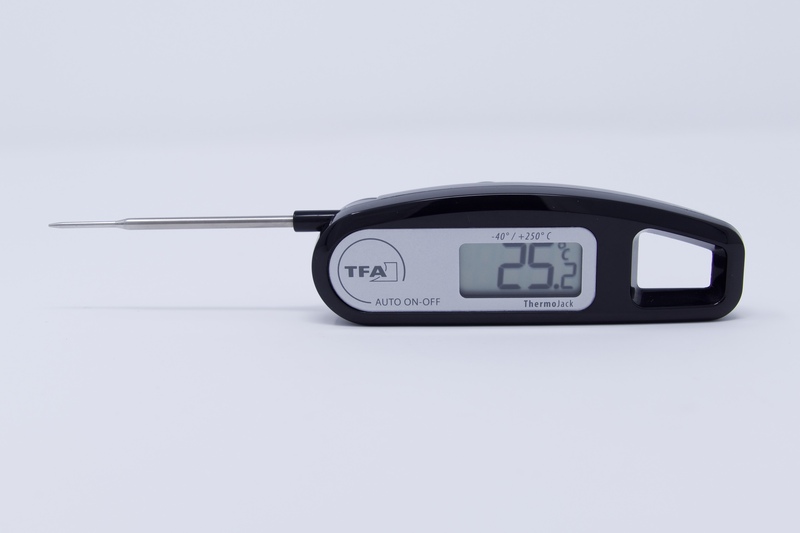 This handy folding thermometer from TFA is ideal for uncomplicated temperature measurement at home. 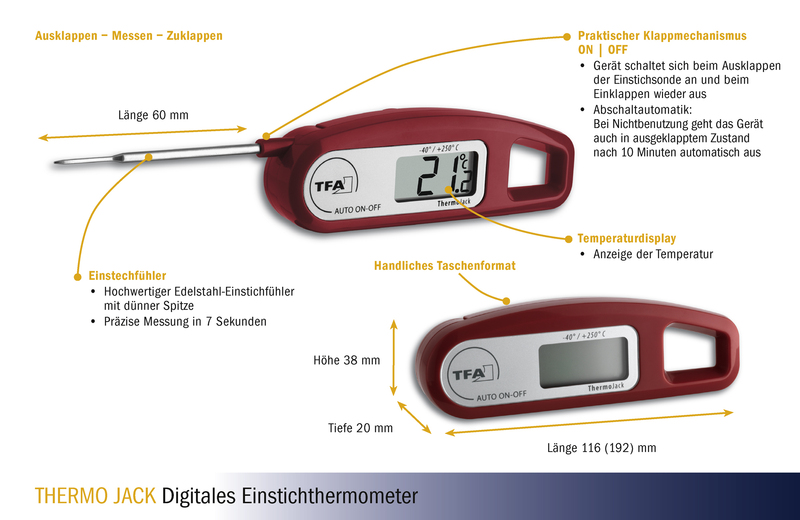 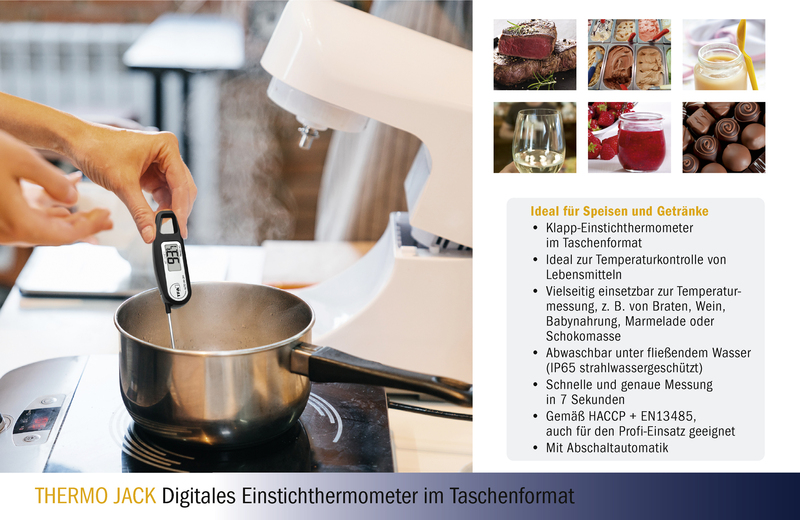 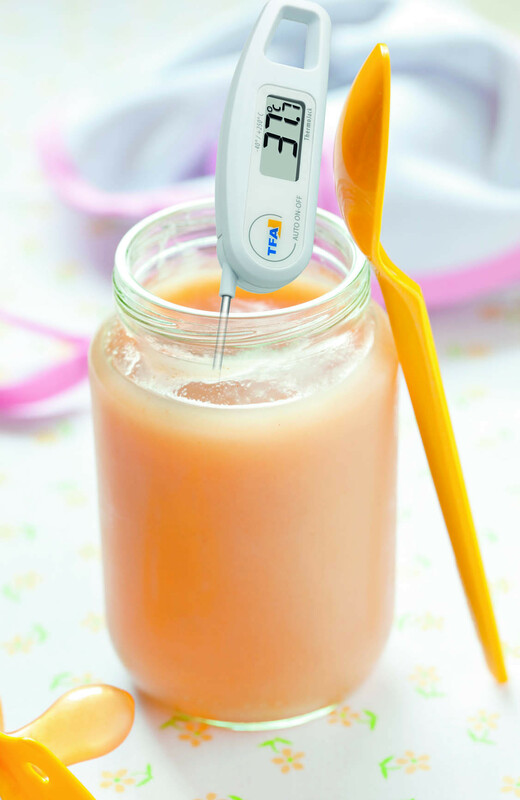 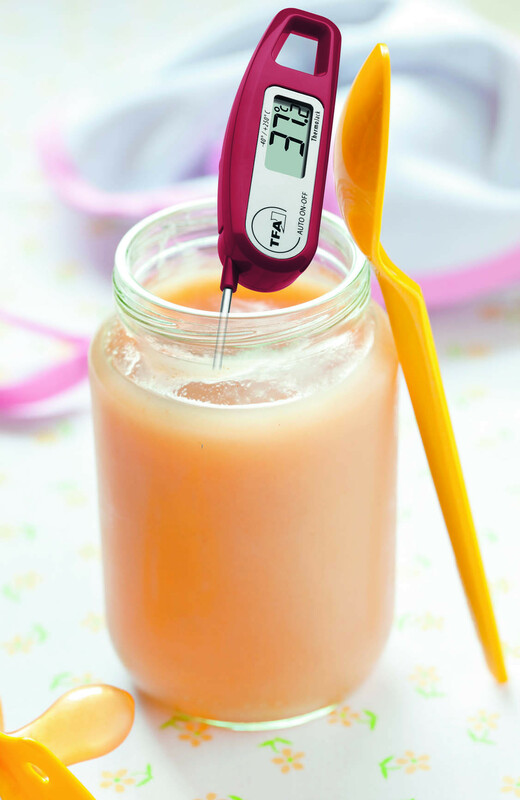 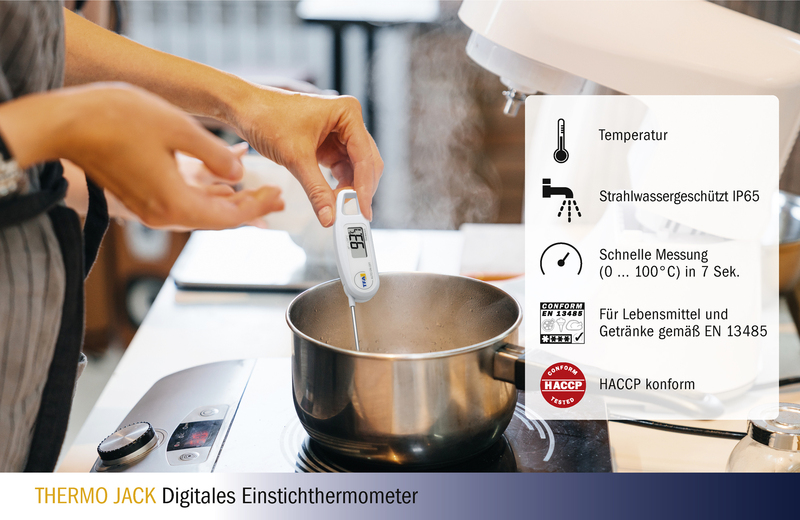 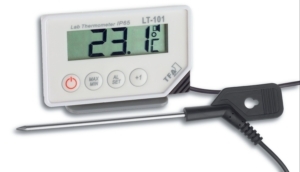 Monitor the core temperature of meats when barbecuing or roasting; check whether the temperature of baby food or bath water is safe; get it right with the temperature-accurate preparation of treats made of sugar and chocolate, as well as with jam-preserving recipes and checking the drinking temperature of wine and other beverages – this is the range of application of "THERMO JACK". 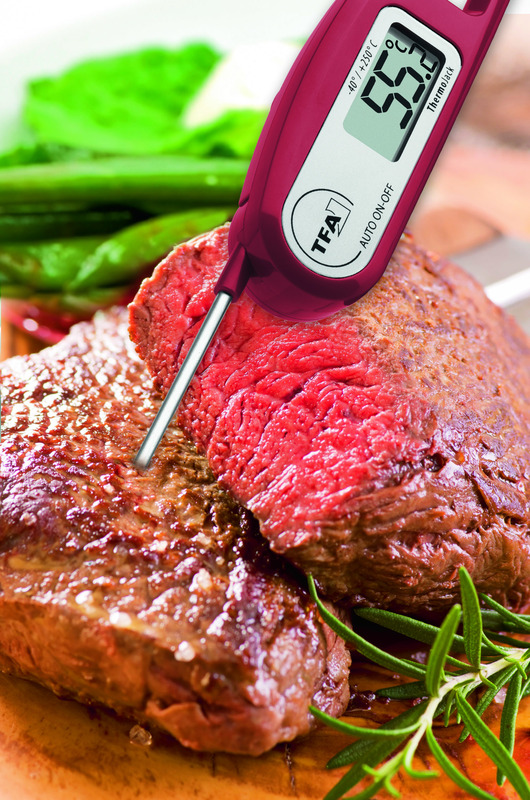 The "THERMO JACK" is HACCP and EN 13485 compliant and also suitable for professional use in food industry, commerce, trade and laboratory. 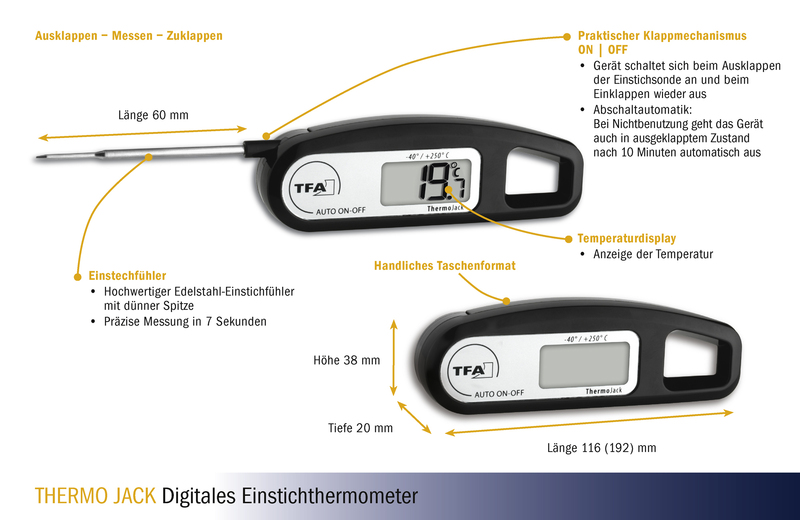 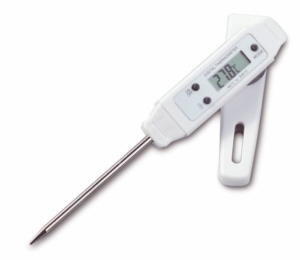 Thanks to its specially shaped measuring tip, the "THERMO JACK" measures the temperature precisely in just 7 seconds. 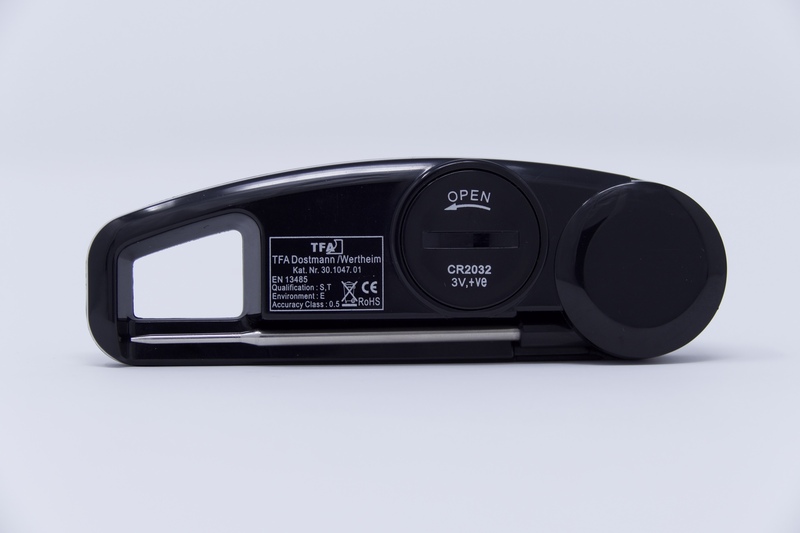 The device is jet-proof and can be cleaned under running water after use.